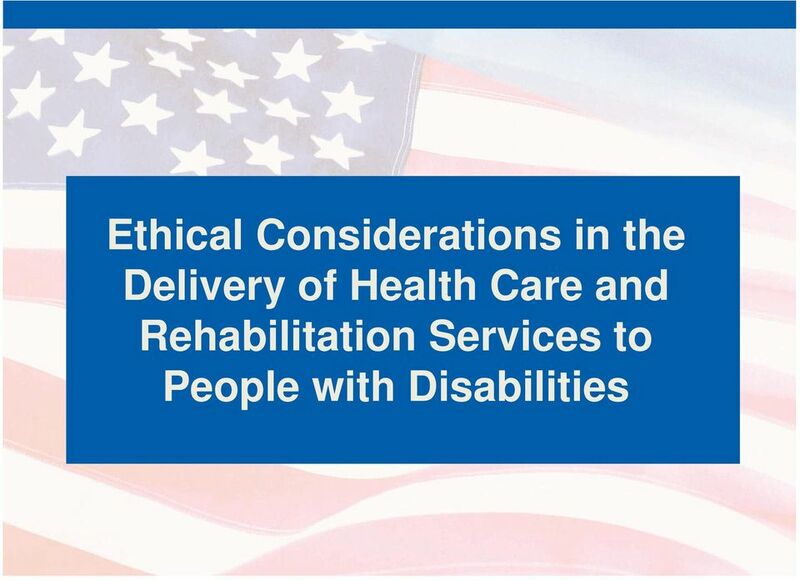 Download "Ethical Considerations in the Delivery of Health Care and Rehabilitation Services to People with Disabilities"
4 In the past 20 years has any cultural, social or legislative change affected your life more than the ADA? 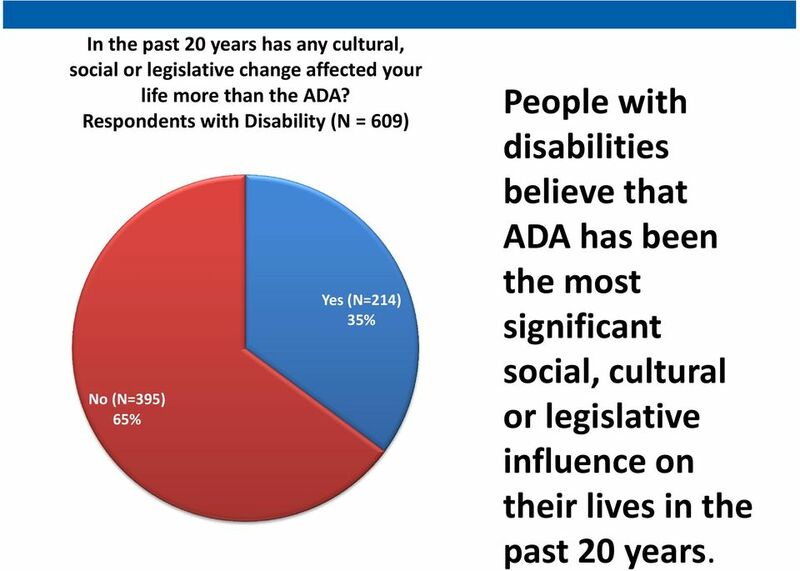 Respondents with Disability (N = 609) No (N=395) 65% Yes (N=214) 35% People with disabilities believe that ADA has been the most significant social, cultural or legislative influence on their lives in the past 20 years. 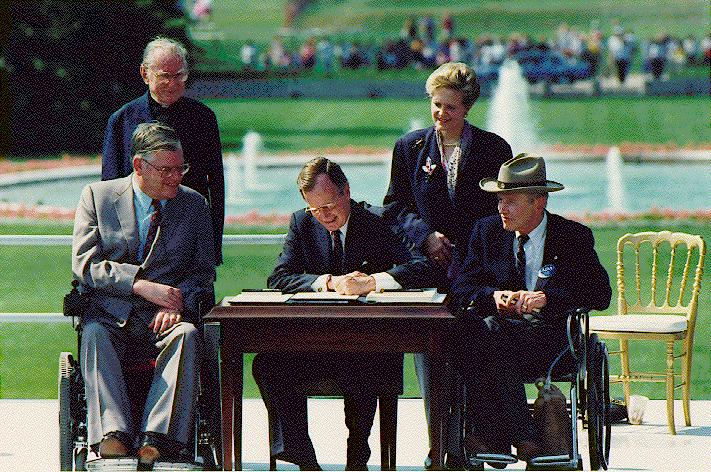 8 Today there are 56.7 Million People with Disabilities. 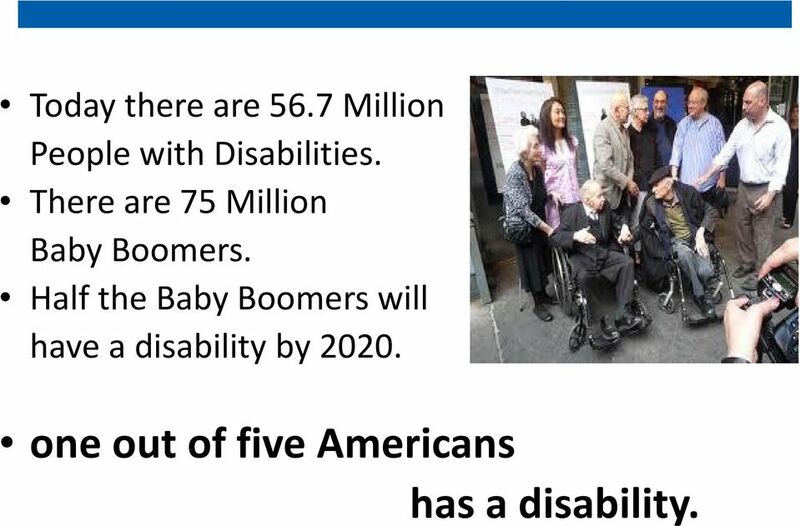 There are 75 Million Baby Boomers. 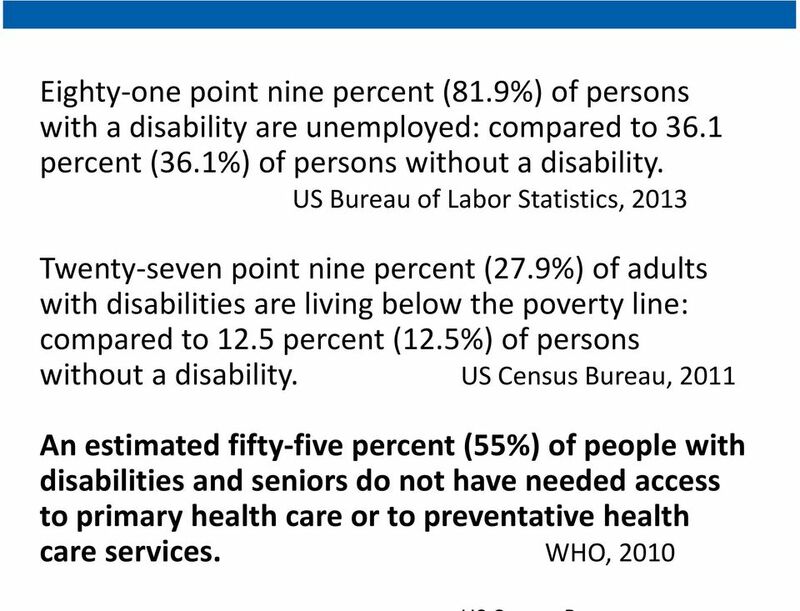 Half the Baby Boomers will have a disability by one out of five Americans has a disability. 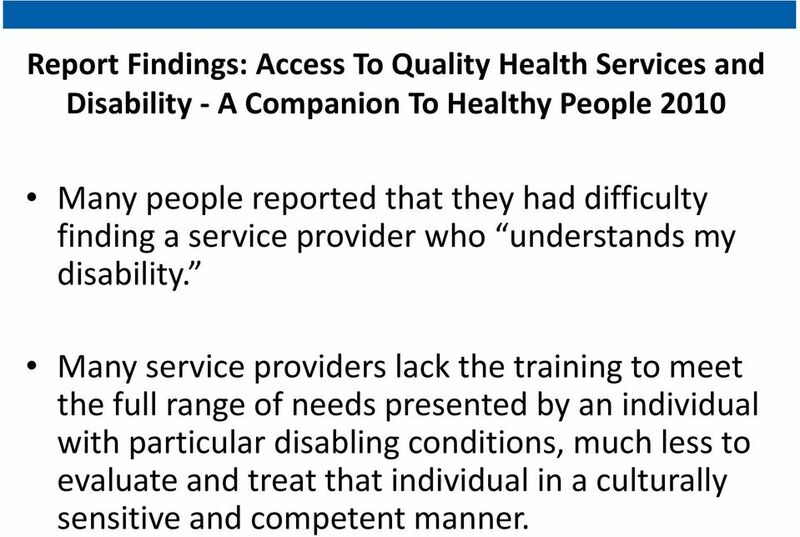 15 Report Findings: Access To Quality Health Services and Disability - A Companion To Healthy People 2010 Many people reported that they had difficulty finding a service provider who understands my disability. 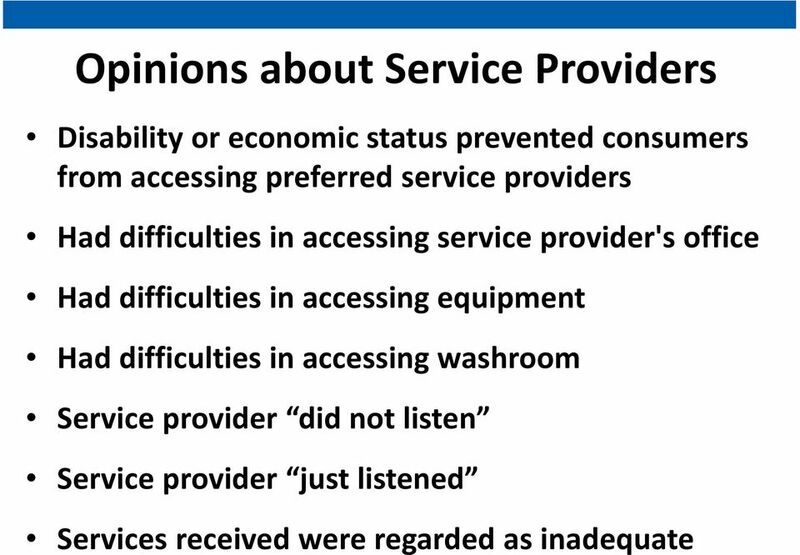 Many service providers lack the training to meet the full range of needs presented by an individual with particular disabling conditions, much less to evaluate and treat that individual in a culturally sensitive and competent manner. 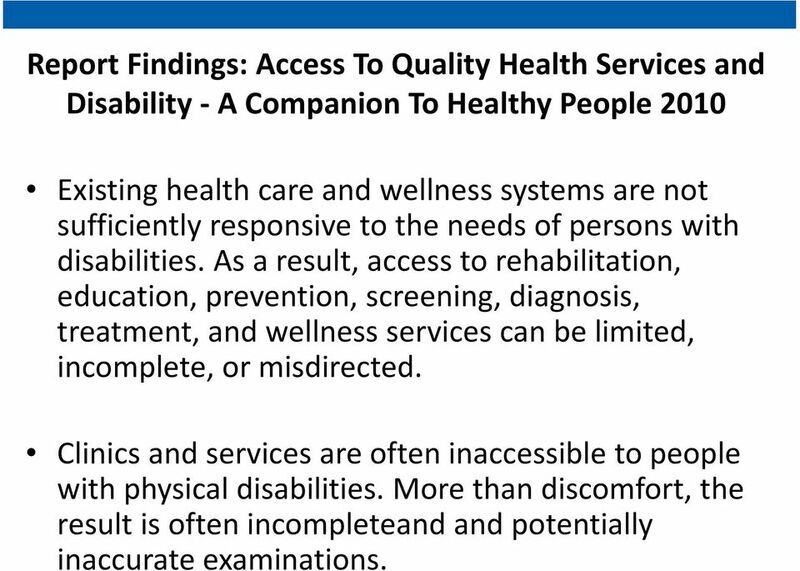 16 Report Findings: Access To Quality Health Services and Disability - A Companion To Healthy People 2010 Existing health care and wellness systems are not sufficiently responsive to the needs of persons with disabilities. 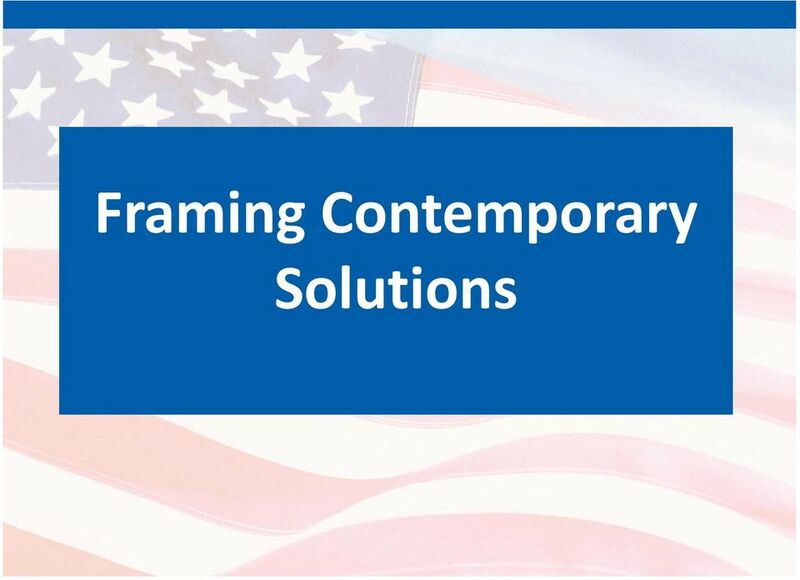 As a result, access to rehabilitation, education, prevention, screening, diagnosis, treatment, and wellness services can be limited, incomplete, or misdirected. 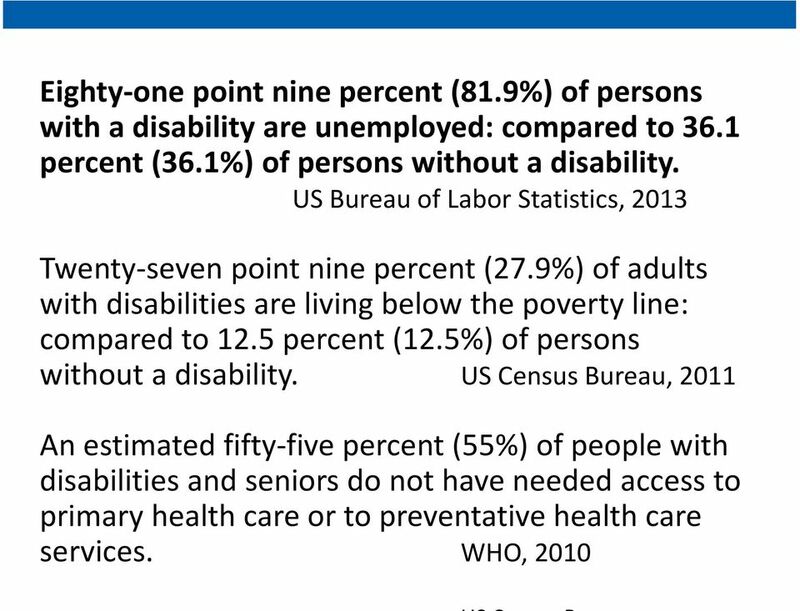 Clinics and services are often inaccessible to people with physical disabilities. 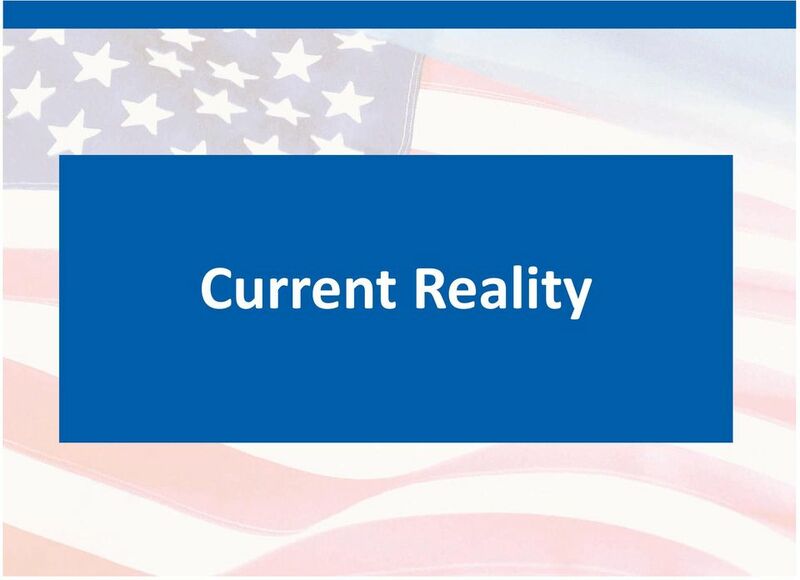 More than discomfort, the result is often incompleteandand potentially inaccurate examinations. 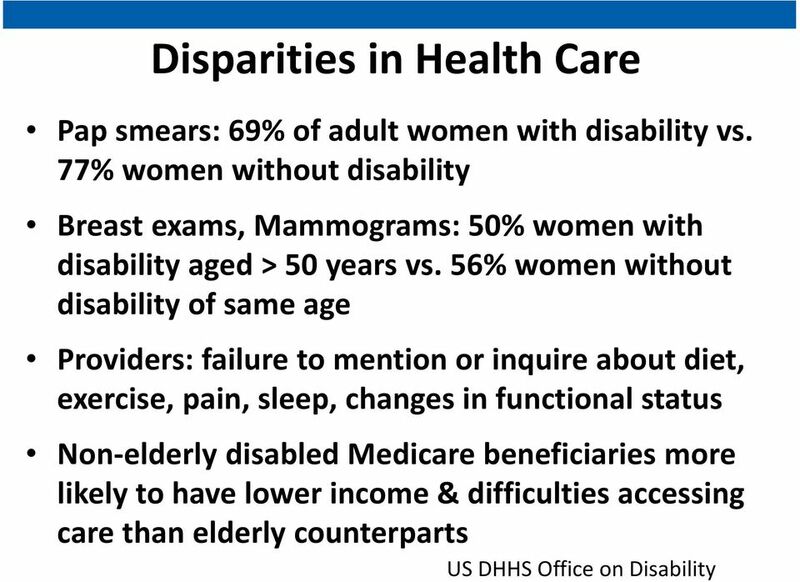 17 Report Findings: Access To Quality Health Services and Disability - A Companion To Healthy People 2010 Many people in the United States experience physical limitations or impairments that might require accommodations such as accessible testing facilities, clinical exam tables or weight scales. 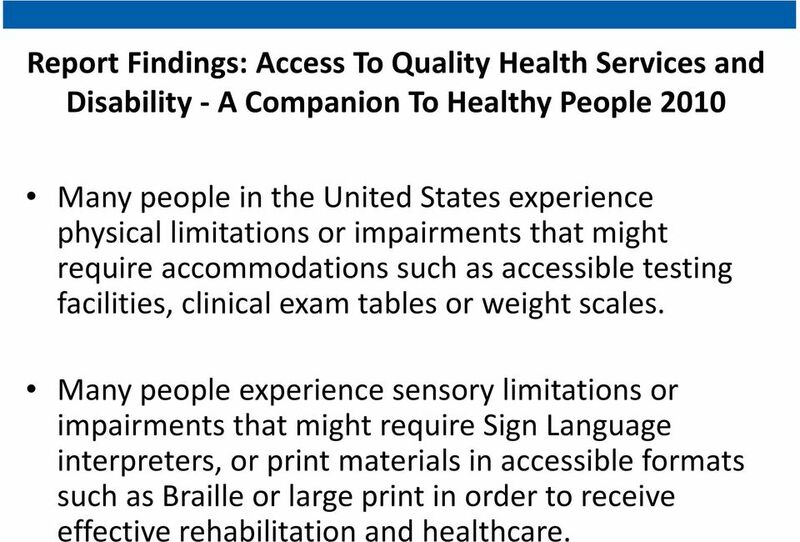 Many people experience sensory limitations or impairments that might require Sign Language interpreters, or print materials in accessible formats such as Braille or large print in order to receive effective rehabilitation and healthcare. 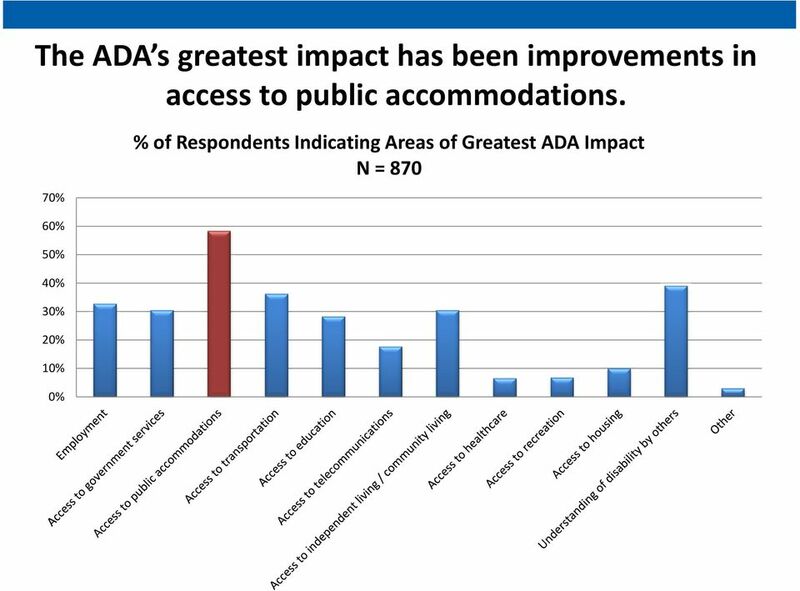 19 Be sure that the facilities to which you refer patients or clients for other services are accessible. 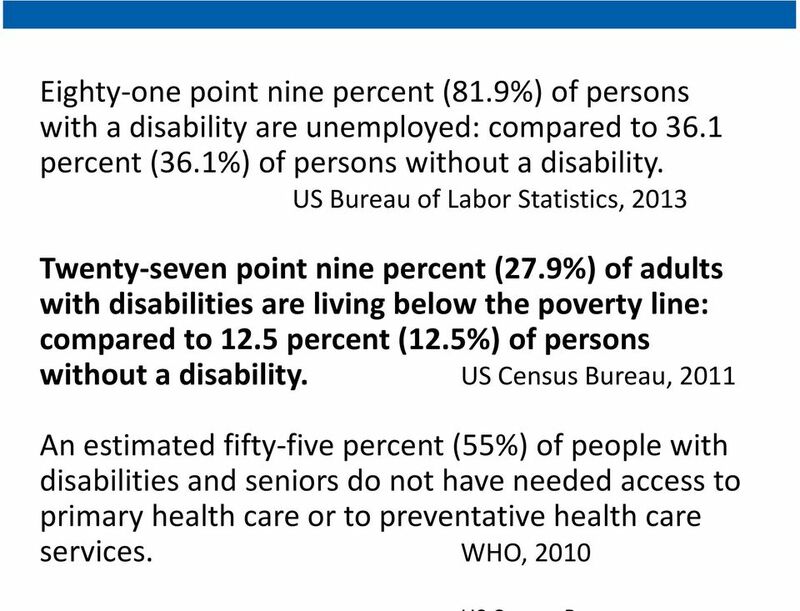 Understand that not having access to work, school, health care, or fun things to do can cause more problems than a disability itself. 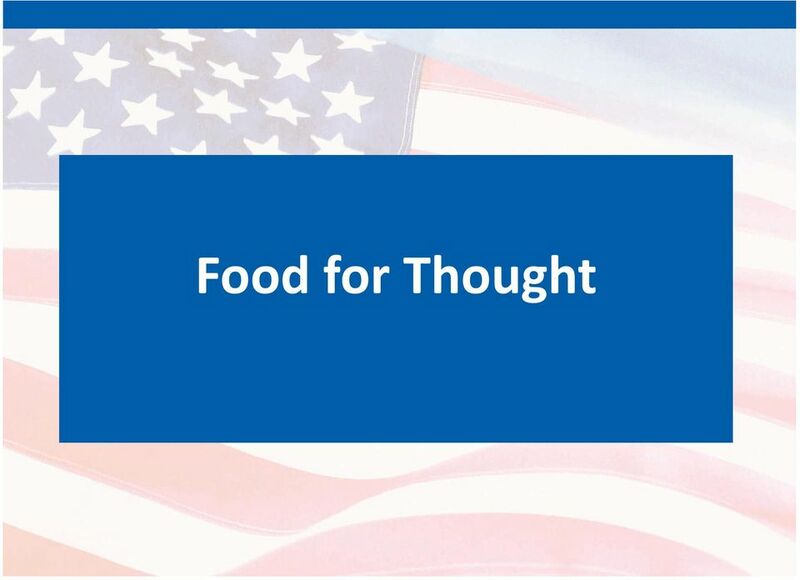 Engage informally with consumers in social, recreational, cultural, and community improvement activities. 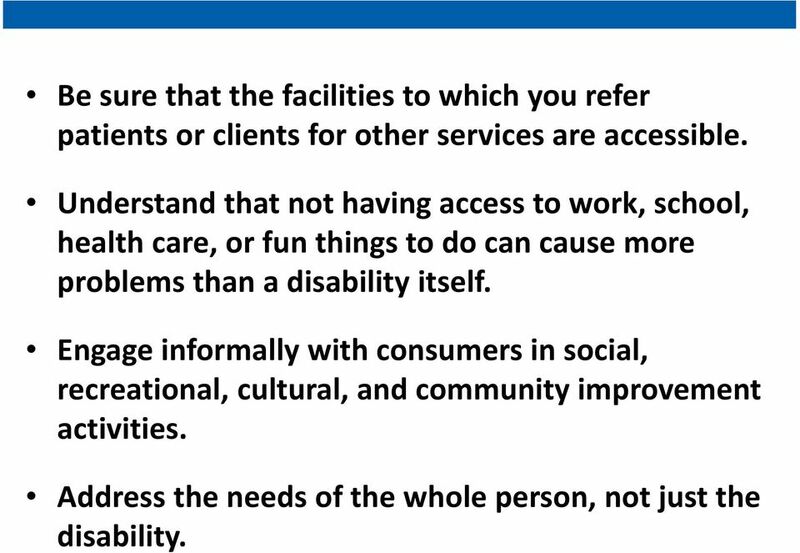 Address the needs of the whole person, not just the disability. 20 Be exceptionally attentive to concerns of pain, depression, job pressures, smoking, drug and alcohol use. 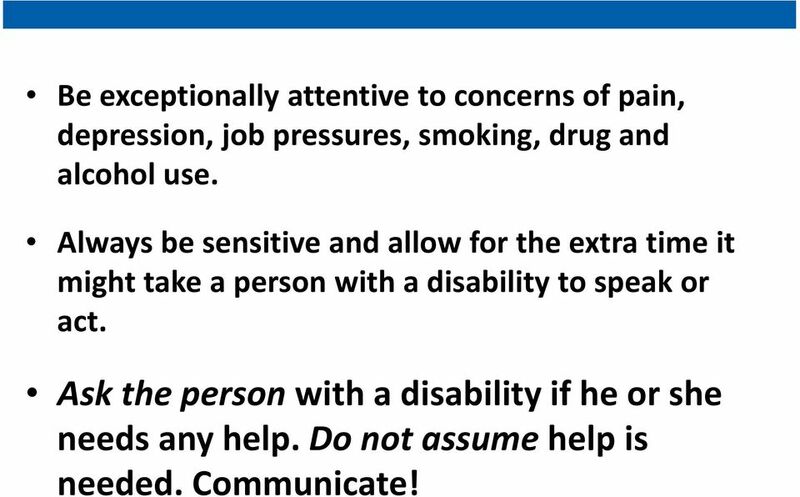 Always be sensitive and allow for the extra time it might take a person with a disability to speak or act. 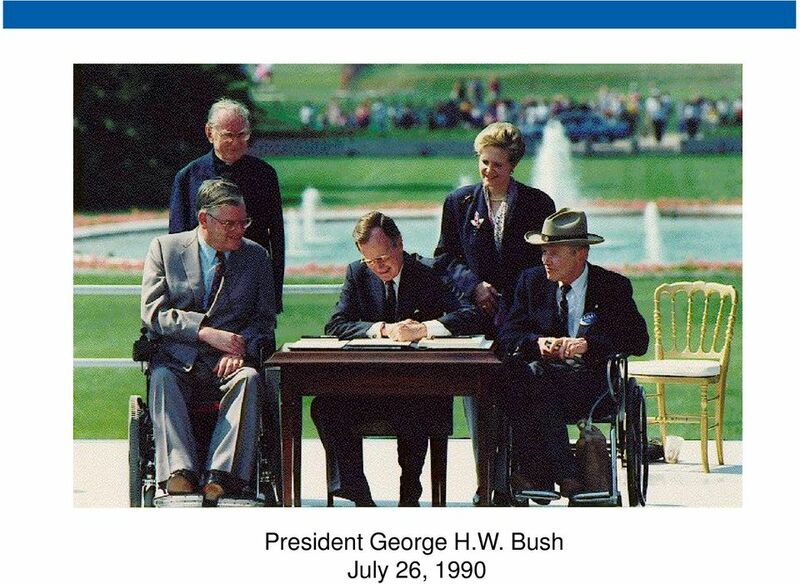 Ask the person with a disability if he or she needs any help. Do not assume help is needed. Communicate! 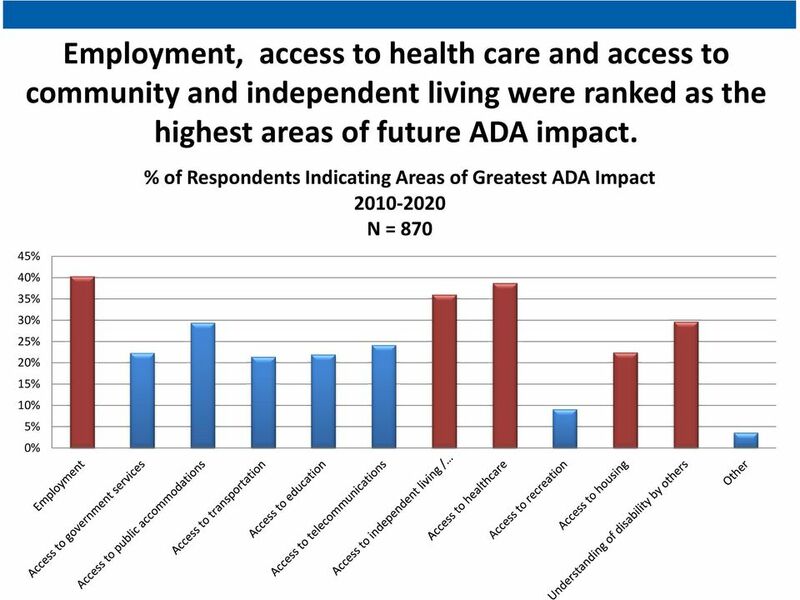 ACCESSIBILITY OF SERVICES ACCESSIBILITY TO CARE STANDARDS Molina Healthcare is committed to timely access to care for all members. 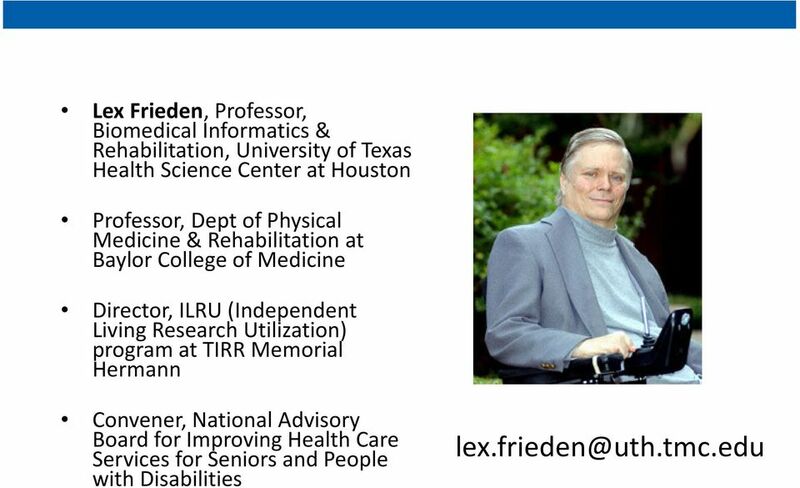 The Access to Care Standards below are to be observed by all Providers/Practitioners. Georgia Lions Lighthouse Foundation Better vision. Better hearing. Better Georgia.